Shower design can be daunting, there are so many shower trays to choose from, so many enclosures and then there are a selection of shower kits, shower heads and valves. But it’s so important that you make the right choice to blend in with the overall design of your bathroom space. Here are a few tips to help you design the perfect shower to match your overall bathroom design. If you have a smaller bathroom, chances are that you have chosen a shower because a bath would overpower the space. Smaller bathrooms benefit from light and bright, so plenty of white walls, white bathroom products, glass and chrome. The best shower choice for the smaller spaces are the quadrant showers, the trays are quadrant which fit perfectly into a corner position with a stylish curved front. Square and rectangular enclosures that fit these trays have sliding doors which don’t compromise on space and don’t leave you concerned that your shower door will swing open and bash into another of your bathroom products. Modern bathrooms benefit from the style and elegance of a walk in shower design. These are easy to choose and you can place them in a corner or along a wall, whichever you prefer. Use the rectangular shower trays giving you more room to move around. The walk in enclosures are modern and sophisticated with panes of clear glass that allow the light to flow through with ease. The advantage to the walk in design is that there are no doors and if your enclosure doesn’t fit your rectangular shower trays, a side or inline panel will do the trick. Bi-Fold shower doors are very elegant and work beautifully in any bathroom design when combined with rectangular shower trays which offer versatility and more showering space. The rectangular shower trays can be placed in a corner or along the wall, whichever works best with your design. The bi-fold doors work as a concertina effect folding in towards the shower so they don’t take up any additional floor space. Some people prefer the door opening size offered by the pivot or hinged shower doors, these doors swing open so are only suitable for the larger bathroom space. Again these work beautifully when combined with rectangular shower trays and using inline panels you can easily get your enclosure to seal off reducing the risk of leaks while you shower. Showers are becoming a top choice on bathroom designs due to their convenience and water saving ability. Did you know that when you shower you only use a fraction of the water you would have used if you had soaked in a hot bath? Another reason that showers are becoming a top choice is because you can add touches of luxury, making them a welcome addition to any bathroom, such as the jets which spray water at you from various angles, depending on where you have placed them. There are a number of shower choices that really have that “wow” factor. Some of the best I have seen include a wet room design with enormous picture window to one side. The window looks over a lake where the views appear never ending. The great thing about this design is there are no shower doors, no tray and yet, in some cases a wet room can be a nightmare. Though they do work well in smaller bathroom spaces. Another of the top choices was an enormous oval bath freestanding in the middle of the bathroom floor on fake grass, there was a huge window to the side of the bathroom overlooking a forest, really welcoming the outdoors into the room. Above the bath on the ceiling was a large round shower head which sprayed water directly into the bath. This design was both elegant, stylish and practical offering both the ability to shower or bath, depending on your preference. Of course these lavish shower designs are not always practical for our bathrooms, especially when you live in the city areas and having a huge picture window will only welcome the neighbours eyes. Some of the best designs I have seen yet include the bow sliding door shower trays, these are rectangular trays with a gentle curve. The tray was placed against a back wall in the corner facing into the bathroom and combined with the stunning sliding doors which didn’t compromise on any floor space. All the items in the bathroom included the gentle curve you found on the bow sliding door shower trays, carrying the design throughout the space and really complimenting the room. 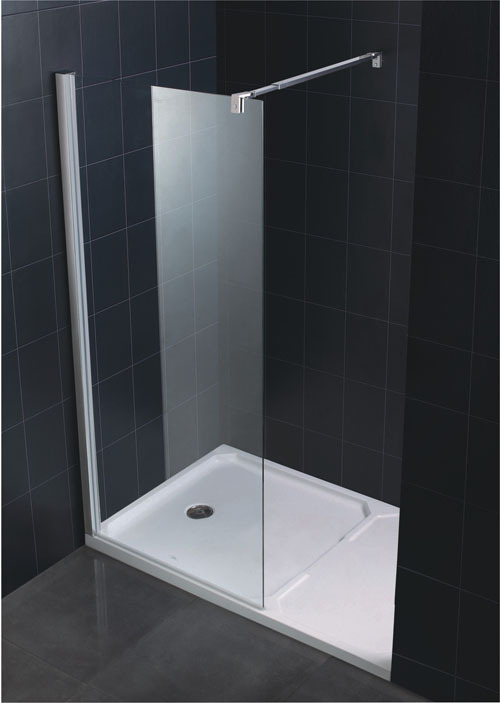 Whether you choose the bow sliding door shower trays or another of the shower trays available it’s so important you always take your floor space into consideration when choosing your shower tray. The sliding doors don’t open into the space and that is why they are always a top choice in the smaller bathroom designs. One thing that is definite about 2013 is the fact that more bathrooms are being designed on a spa-inspired theme. What this means is that you can include a shower in your bathroom, but turn it into a design feature, making it the centre-piece of the room and giving your bathroom space a “wow” factor. One of the shower designs that have topped the charts lately is the walk in shower design, these showers don’t use doors making them an ideal choice for family bathrooms and bathrooms for the elderly. The great thing about the walk in shower design is that when combined with the right shower accessories, they can add that “wow” factor to your bathroom space. The enclosures for these designs are made from a pane of safety glass. They are minimalistic in design and blend in beautifully with any bathroom design. The shower accessories you may want to include are the jets. If you are after a spa-inspired bathrooms the shower jets can add that touch of luxury. The jets are available in square or round designs and power water from different angles depending on where you have placed them on your shower wall. Recently I saw two ultra modern bathroom designs, they probably cost a lot, but they are the funkiest and most modern shower designs. The first was the egg design. This shower stands in the centre of your bathroom and is a solid unit in the shape of an egg. The one side of the egg opens for a doorway, almost like peeling the wrapper from an Easter egg. The other design that caught my attention was the sphere design. This is a round design that runs from the floor up and over your head in a circular shape. The shower head is placed at the top and then the shower accessories, such as the jets are mounted in the sides offering a complete showering experience. The great thing about the sphere design is that they can be placed both indoors or outdoors by the pool offering a modern twist on a regular shower enclosure. At the same time many of us are down to choosing the shower enclosures available online or in stores, if you are choosing a shower, be sure to find the right shower accessories to make your shower the centre-piece it deserves to be, a shower that will complement your bathroom design. Walk in shower enclosures are a popular choice in many bathrooms these days and it’s down to two things, convenience and style. Whether you are designing a modern bathroom or a traditional bathroom you want to enjoy the ease and simplicity of your shower, that is why you chose a shower in the first place. So why walk in shower enclosures when there are so many other enclosures available? One of the biggest bonuses you can achieve in your bathroom is convenience. Chances are you have included a shower because it’s quick, much faster than having a bath and offers you the convenience of shaving minutes off your time when getting ready in the mornings. Maybe you’ve chosen a shower because you have a compact bathroom and a bath would have been too big for the space, but a shower helps you save water, is practical and functional. These days more people are adding a shower to their bathrooms than a bath, showers you still get to enjoy the luxurious side of bathing with the stunning shower jets available on the market. Another advantage of the walk in shower enclosures is that there are no doors, you just have to walk in and turn on the taps, it doesn’t get any easier than that. Another advantage to these walk in shower enclosures is the style that they add to the bathroom, it’s easy for your shower to become the focal point. The walk in shower enclosures are minimalist in design offering toughened clear glass panes that allow light to flow through, giving your bathroom a feeling of space. 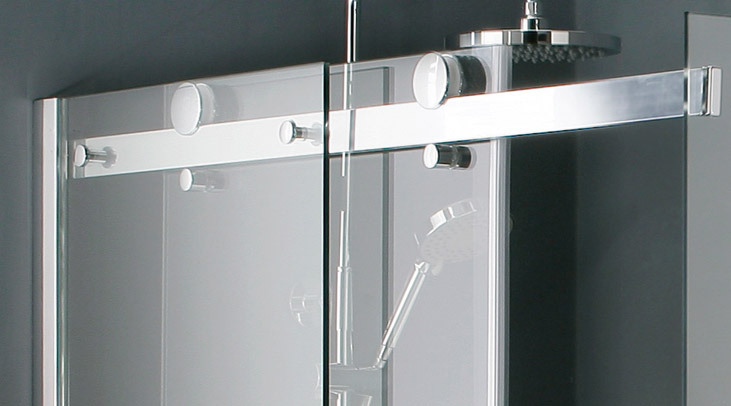 They also don’t have unsightly frames, you get chrome frames on the sides, but other than that it is plain glass which adds sophistication, elegance and style to any bathroom design. I love the walk in shower enclosures for this reason, they can easily be installed into an ultra modern bathroom, minimalistic bathroom or a traditional space and they will blend right in. Due to the functionality they offer they are ideal for family bathrooms and bathrooms for the elderly, there are no doors to worry about and they are easy to get in and out of the shower. When choosing shower enclosures you always have to pay such careful attention to where you are placing your shower and ensuring that the door doesn’t swing open and knock against an obstacle, there is no fear of this happening with the stylish walk in shower enclosures. Designing a bathroom takes time, planning and imagination. We all want our bathrooms to be beautiful, modern, spectacular even. Getting there takes careful planning and organization, determining what we can place in our bathroom, what products will work best and what accessories we need. For those of us who have a large bathroom we can really splash out, going for the ultimate in luxury and design. The compact bathroom is more limited and often is where you will find a shower rather than a bath. So how do you choose the best shower, where to place everything and your final accessories? Your first step in the bathroom planning process should be to measure your bathroom, this will give you an indication of what you can place in there. For larger bathrooms walk in showers look fantastic and they are practical and convenient, combine these with the simplistic beauty of the walk in shower enclosures and you will have a stylish, sophisticated and very modern bathroom design. The aim of your bathroom layout is to ensure that all the items you want to place in your bathroom will fit and will work well together. You can measure your walk in shower to determine the best place to put it, measure your vanity, toilet and if you are also adding a bath, measure that too. These days the majority of us go modern the minute we have the opportunity to remodel our bathrooms. The modern design is crisp, clean lines and stylish. This is where the walk in shower enclosures come in they are so minimalistic, but make a statement. A pane of clear class with chrome fittings make these shower enclosures a top choice for anyone remodelling a larger bathroom. Keep your design flowing, if you have chosen modern with plenty of white, glass and chrome, keep that flowing throughout your design from your walk in shower enclosures to your basin, toilet and vanity. Bathroom accessories can finish off your bathroom project beautifully. 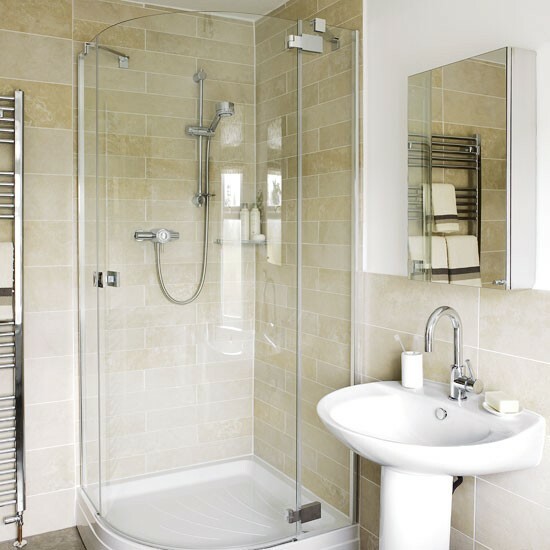 From stylish mirrors to modern radiators, combine these with your bathroom products already installed such as your walk in shower enclosure and your bathroom will be finished to perfection. The trick is to choose everything for your new bathroom ensuring that they all blend in with each other and complement each other. Once you have achieved this and what you have chosen works in your bathroom space without compromising floor space you are left with a modern and stylish bathroom.